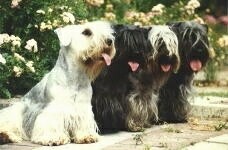 A relatively new breed, the Cesky Terrier was developed from crosses among the Sealyham, Scottish Terrier and possibly the Dandie Dinmont. 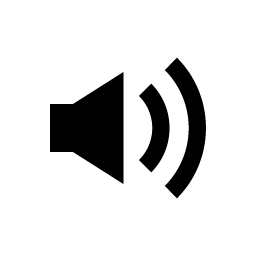 The dog’s original developer was a Czechoslovakian breeder named Frantisek Horak who was successful at getting them recognized by the FCI in 1963. Mr. Horak's goal was to breed a dog that was narrow enough to successfully get down into the dens and burrows to hunt rats and fox. 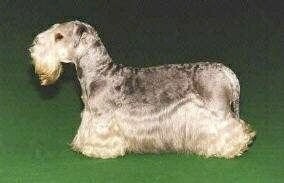 By the 1980s breeders felt the Cesky Terrier no longer looked like the dogs Mr. Horak bred, so they crossed them yet again with Sealyham Terriers. The breed was first imported to the USA in 1987 and to this day is quite rare. 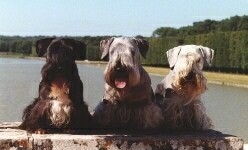 By 1993 there were said to be only about 150 Cesky Terriers in the USA. The breed may be shown at the National Cesky Terrier Club, rare breed shows, state kennel clubs and at some FCI and UKC shows. 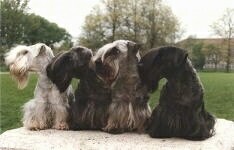 The Cesky Terrier is a good hunter, tracker, watch and guard dog.